Gobi is a favorite in our home and come winter, we buy cauliflower like there is no tomorrow. Learning how to cook Gobi is essential to truly relish its distinctive taste and texture. Almost all my cooking of gobi recipes involves dunking the gobi in salted hot water for at least 15 minutes before sauteing it till it forms a golden crust. Honestly, this process of blanching and sauteing does make a big difference in the overall flavor of the gobi dish I am making. The gobi dish I am talking about today is Gobi Masala with North Indian flavors. I have added matar aka fresh green peas as I love the combination of gobi and matar and would like to utilize winter vegetables to the fullest when in season. 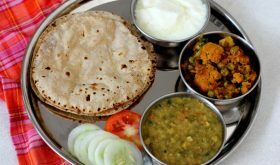 🙂 I served this flavorful vegetable curry with rotis along side Amritsari dal, yogurt and salad which made for a complete North Indian style meal. Heat a tbsp of oil in a heavy bottomed vessel, add the drained cauliflower florets and saute on medium flame for 9 to 10 mts. Remove from the vessel and set aside. Grind the roasted poppy seeds and cashewnuts to a paste adding little water. Set aside. Heat the remaining oil in a heavy bottomed vessel. Add the finely chopped onions and saute for 4 mts. Add ginger green chili paste and saute for a mt. Add the turmeric powder, red chili powder, cumin powder, coriander powder and salt and mix well. Add the chopped tomatoes and saute for 6-7 mts or till oil separates. Add the sauteed cauliflower and green peas and mix well. Cook for 4 mts with lid. Add the beaten curd and keep mixing till the oil separates. Add the ground paste along with a cup of water and bring to a boil. Reduce flame and place lid and cook for 18-20 mts or till you achieve the desired gravy consistency. Add garam masala and mix. Turn off flame and remove to a serving bowl. Garnish with fresh coriander leaves. You can garnish with fresh cream at the time of serving. If you want more gravy, increase poppy seeds by 1/2 tsp and add 2 cups of water instead of one cup. By Sailu Published: November 28, 2013 Gobi Masala is a vegetable curry that makes for a good side with rotis. Add matar for added flavor. 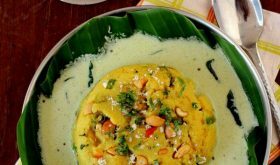 Learn easy gobi recipes cooked in North Indian style. 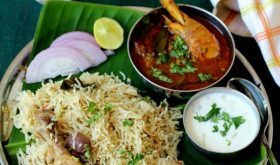 Will definitely try this dish Sailu…could we also have the recipe for the Amritsari dal too. Hi, can you post the recipe for pulkas, your pulkas are round and all are same size, can you post a recipe for that. Going to try this. Looks delicious and I’ve long wondered how to get gobi to the correct texture. 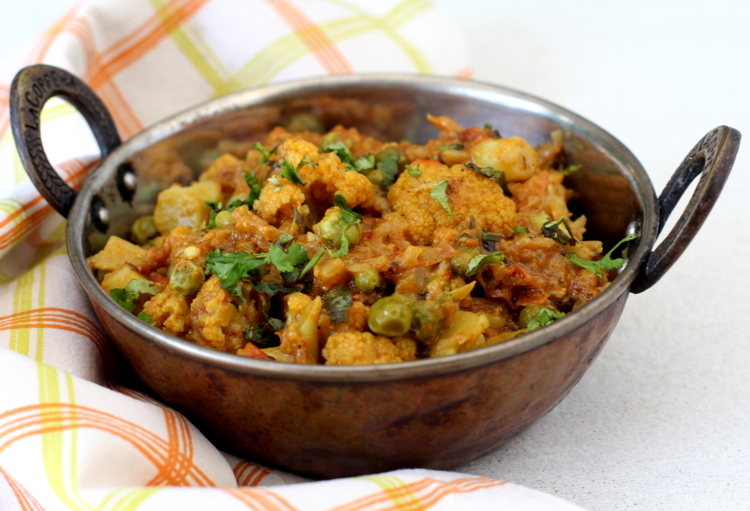 Would this recipe work for aloo gobi if I add potato instead of peas? I was making Aloo-Gobi Masala as per your recipe till now for pulkas. Now, I shall try this one too. Looks like a great side dish for chapathis. Thank you Sailu. at which step did you add kasuri methi. You can add it while frying onions. Made this dish on the weekend. It was absolutely delicious. Best gobi masala ever. Thank you Sailu!!!!! I really enjoyed this recipe i told my mom to prepare it for me on sunday. 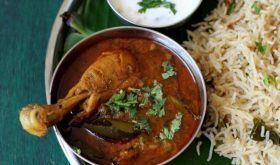 So everyone really loved it..Thanks for posting such type of recipe for us. I just tried this recipe and it was delicious! I love cauliflower and am always looking for new recipes to try! 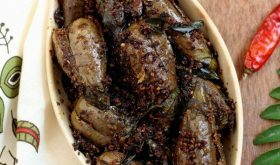 Can easily use melon seeds instead of cashews?? Love the cheese parathas.. Thank you for sharing.. 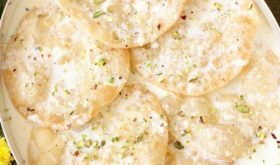 Please share the recipe for cheese parathas… Thank you kindly ..